In 2006, I approached the City of Santa Clara housing staff about purchasing and rehabbing an old, 28-unit apartment complex to serve young adults and young parent families experiencing or at risk of homelessness. We had never developed such a large housing project, but we were eager to provide a missing link in our housing continuum — affordable and supportive housing opportunities for youth facing a variety of challenges. We also wanted to answer the question: What does supportive housing look like for transition-age youth? It took us six years to complete the project, which we call Peacock Commons. Now that we’ve been operating the complex for four years, we decided it was time to write about our experiences and challenges so that others can learn from them. It is our hope that by sharing both our missteps and successes we can help other communities and agencies develop affordable permanent housing with a range of supportive services for young adults and families. The mix of low-income homeless youth, youth exiting the foster care/juvenile justice systems, and youth with mental health challenges has proven to be a good fit. As in any integrated community, some members have more needs than others. Our services include case management, employment, counseling, daily life skills, links to employment opportunities and educational services, and health screening. In addition, we have six units specifically set aside for adults employed as counselors in youth residential programs and who qualify for low-income housing. Silicon Valley has some of the highest housing costs in the nation and many counselors working with youth in local nonprofits qualify for low-income housing, but waiting lists are long. To help keep counselors in the field, and in the area, we provide these tenants with a savings on their monthly rent in exchange for providing 15 hours per month of mentoring to youth. Having a mentor is voluntary, and relationships evolve naturally from participating in the community events and activities. The sense of “community” resonates throughout the complex, as tenants have monthly pot-lucks, meetings, and recreational activities in the complex’s centrally located community center, with a playground and picnic tables for the tenants and their children to use. Mentors are available to support youth, assist in skill building, and be the caring adult every youth needs in their lives. 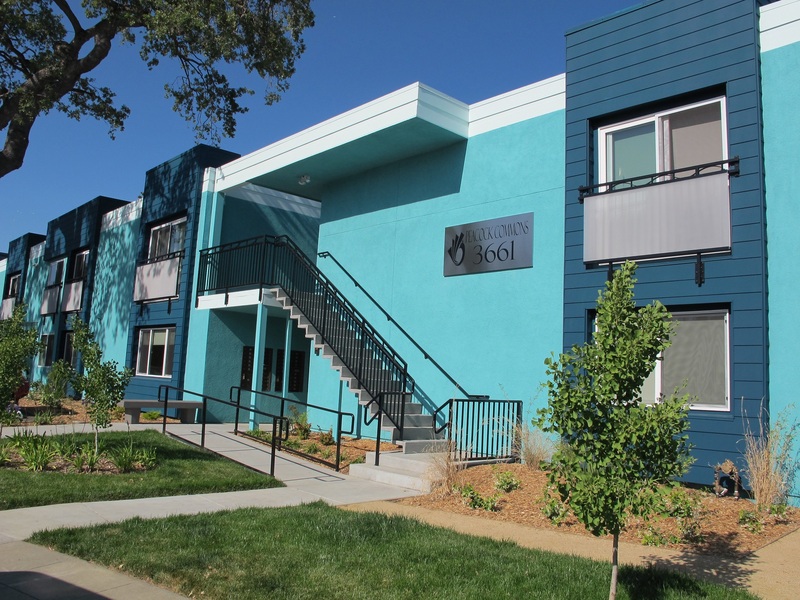 Bill Wilson Center’s Peacock Commons is one of the first long-term, affordable housing project for youth on the West Coast with onsite residential staff as mentors. The mentor component has been a resounding success for both the counselors and young residents. It is also our hope that Peacock Commons will serve as a model and inspiration for many other similar projects, creating more opportunities for diverse youth with a range of challenges and strengths. We know that we cannot end youth homelessness without continuing to innovate, learn, share lessons, and create new models for not just housing youth, but for empowering them to create successful paths forward in their lives. Read more about Bill Wilson Center’s Peacock Commons. Sparky Harlan has been CEO of the Bill Wilson Center in Silicon Valley for over 34 years. She is a national advocate for homeless youth, youth in foster care, and youth in the justice system.